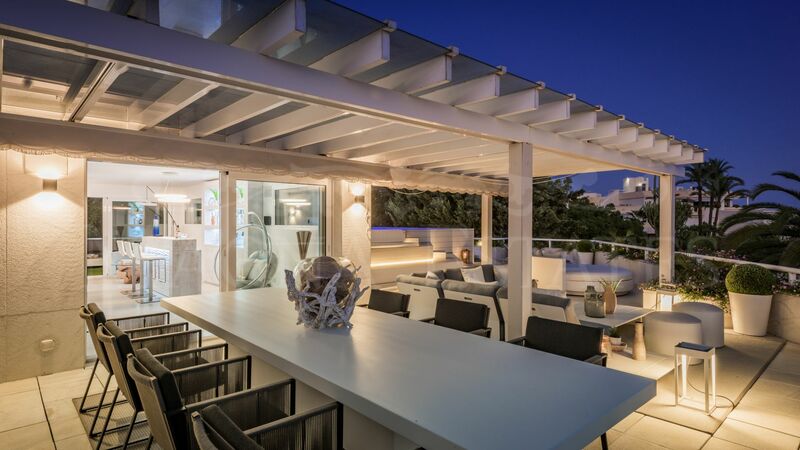 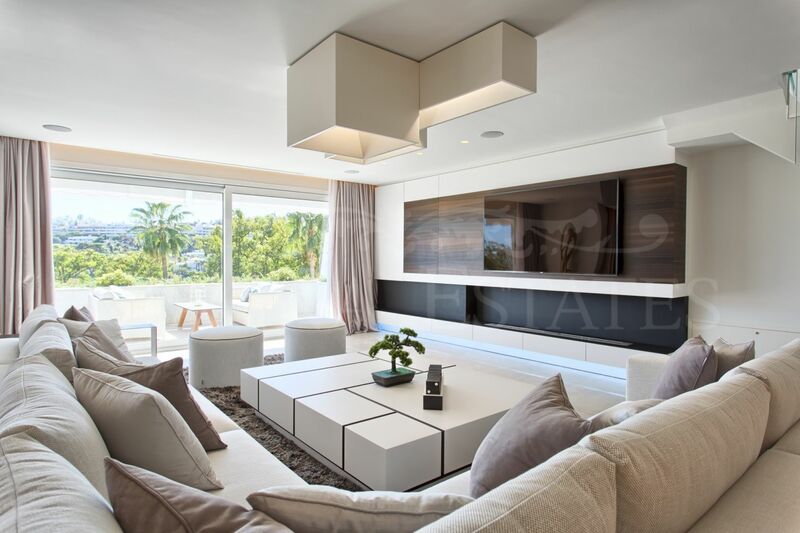 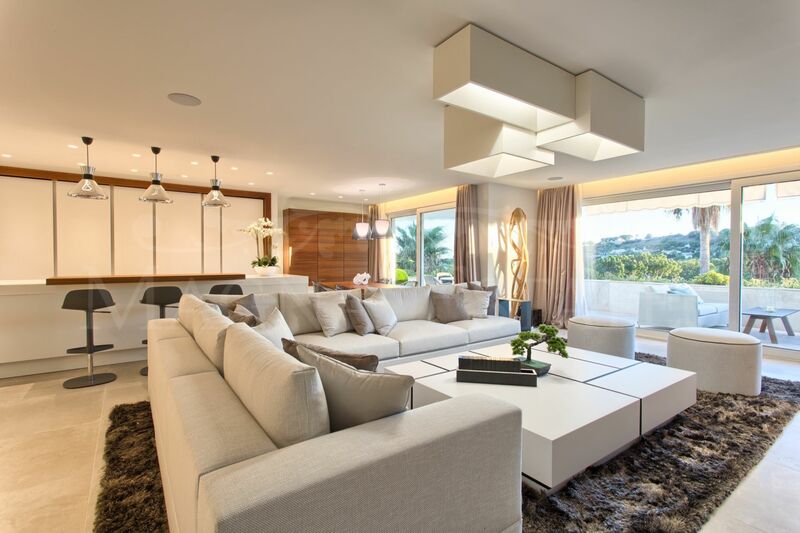 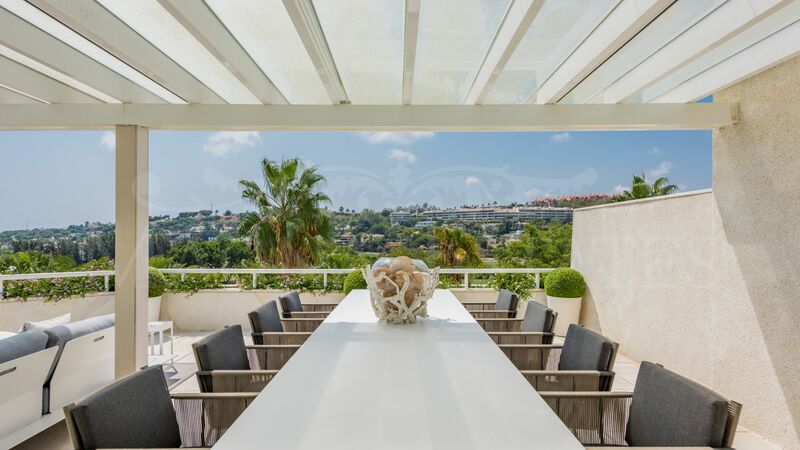 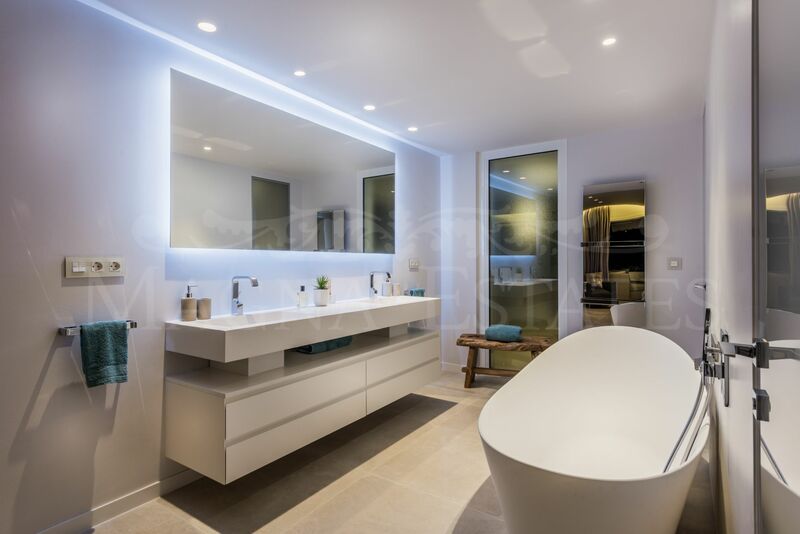 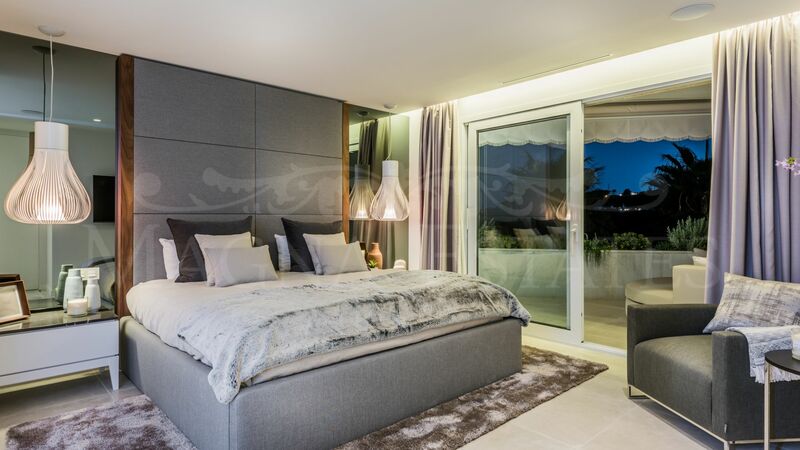 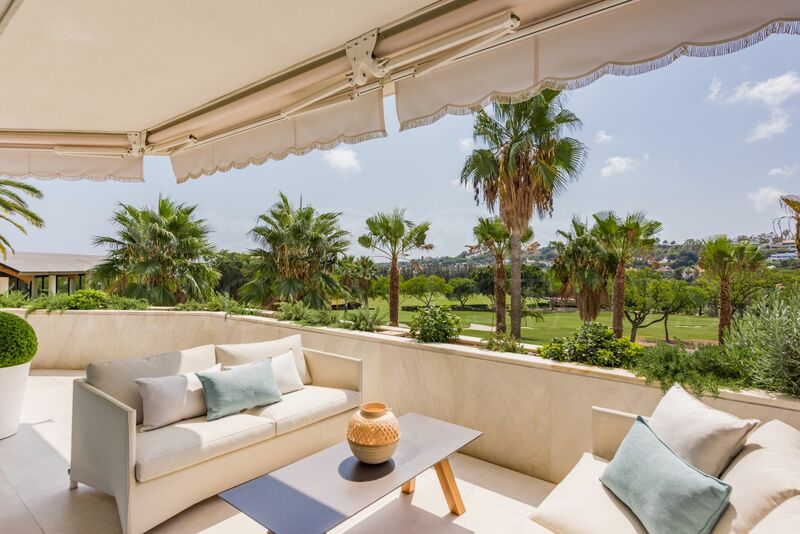 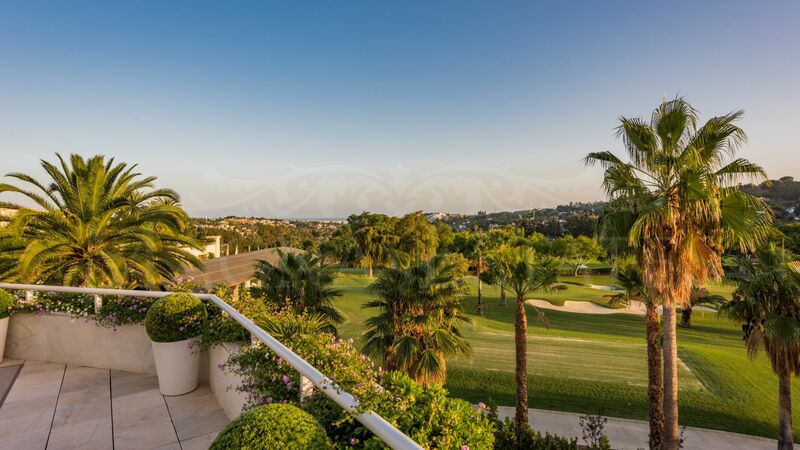 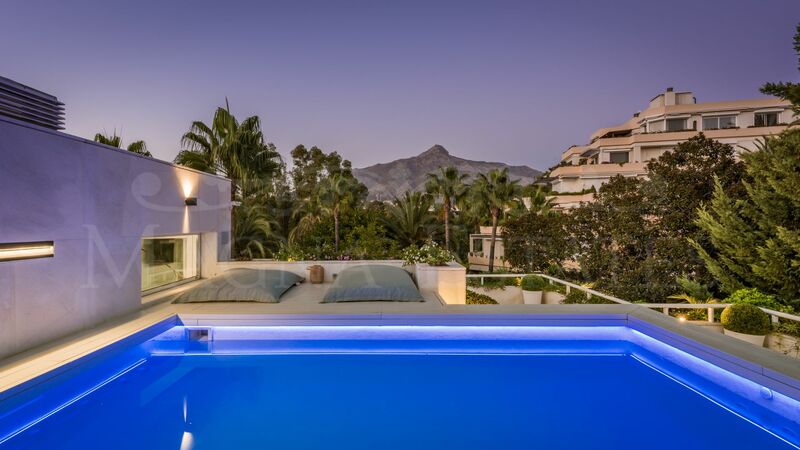 One of the best properties in Marbella and the Costa del Sol: impressive corner duplex penthouse in a luxury development on the edge of the best golf course in Marbella: Real Club de Las Brisas. 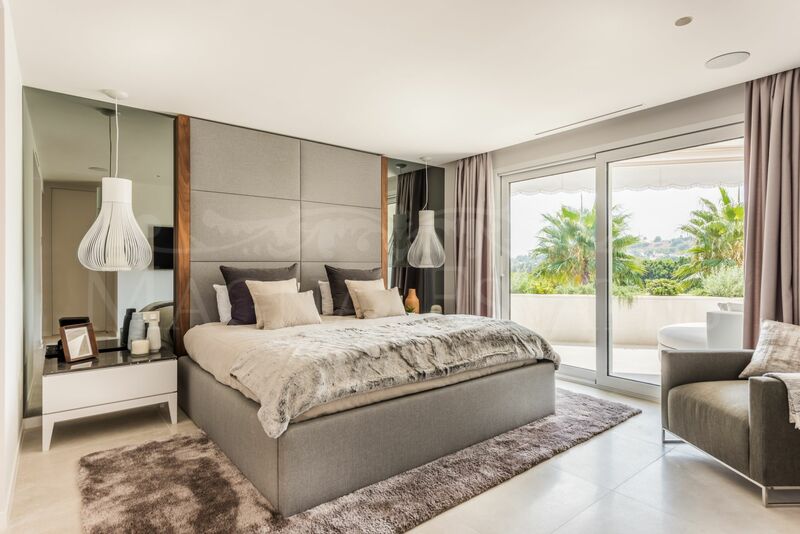 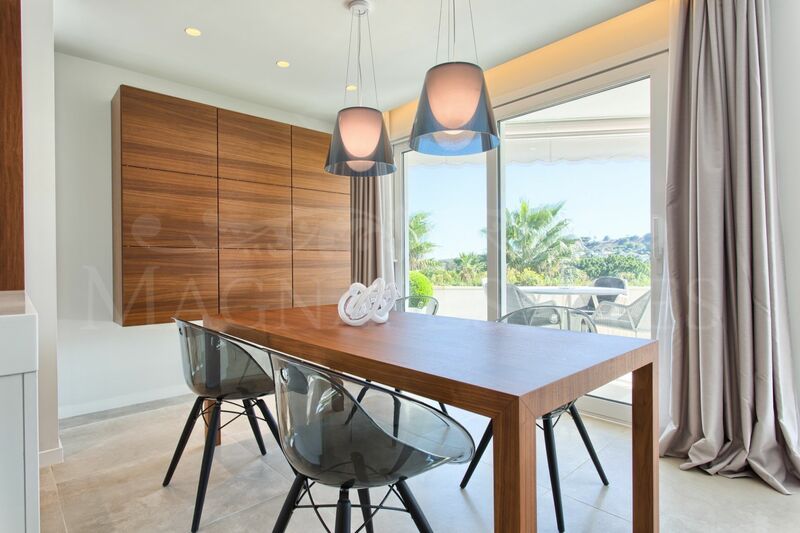 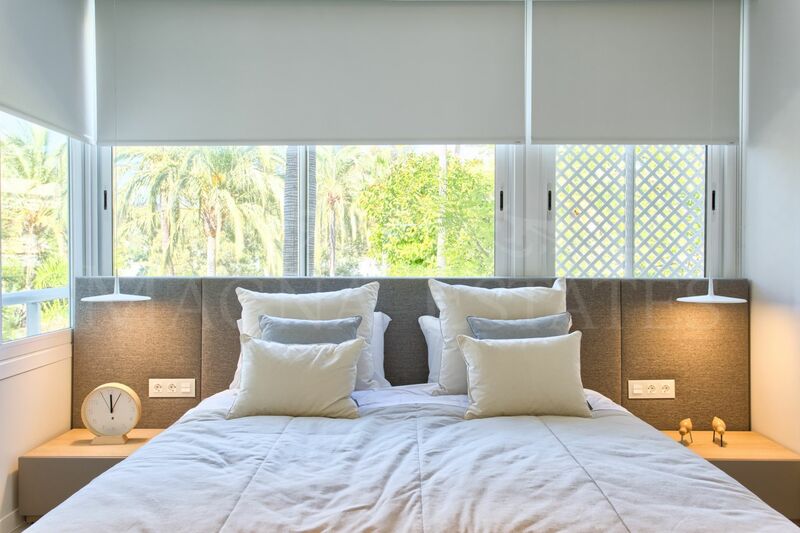 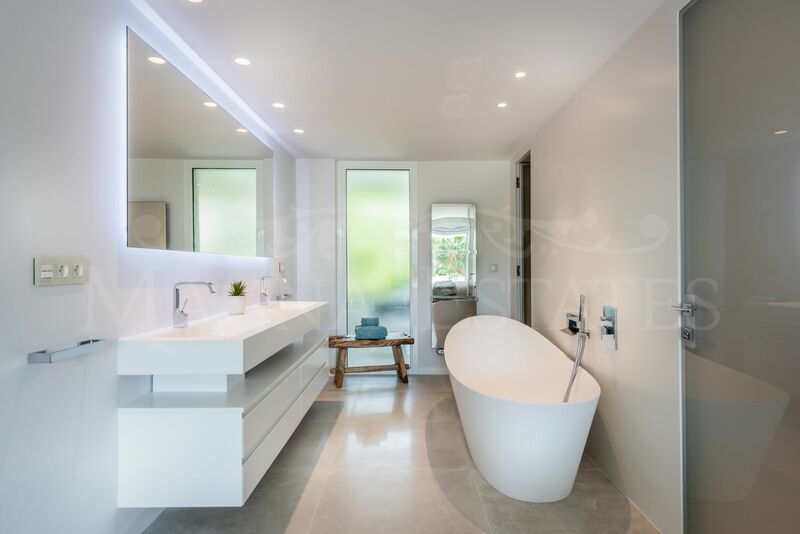 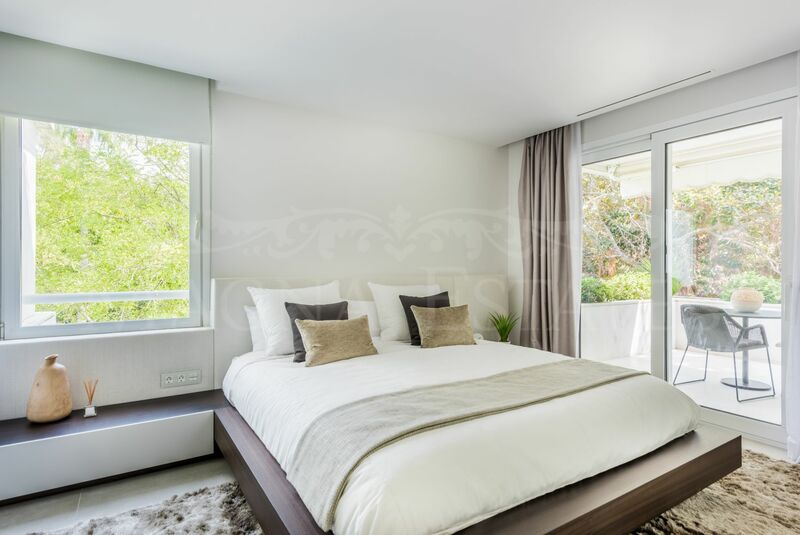 An exclusive property, completely renovated with the best materials and finishes, including, on the ground floor, three bedrooms with large dressing rooms and en suite bathrooms on the ground floor, with a living room and kitchen integrated into a large open space with access to the terrace. 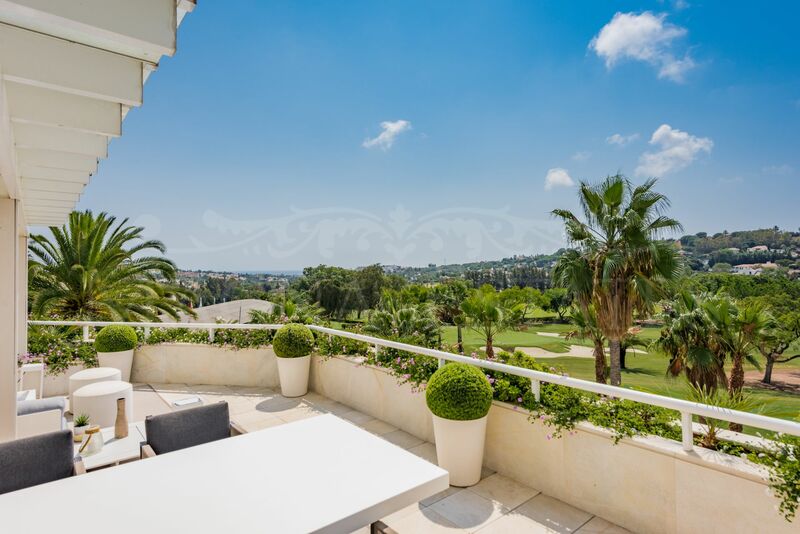 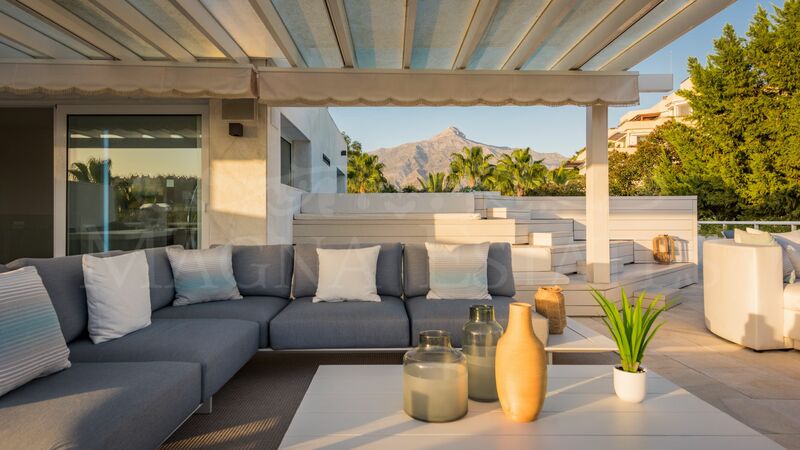 On the top floor, a terrace of more than 200 m2 with private pool, chill out bar area, solarium and stunning 180º views of golf, mountains and sea. 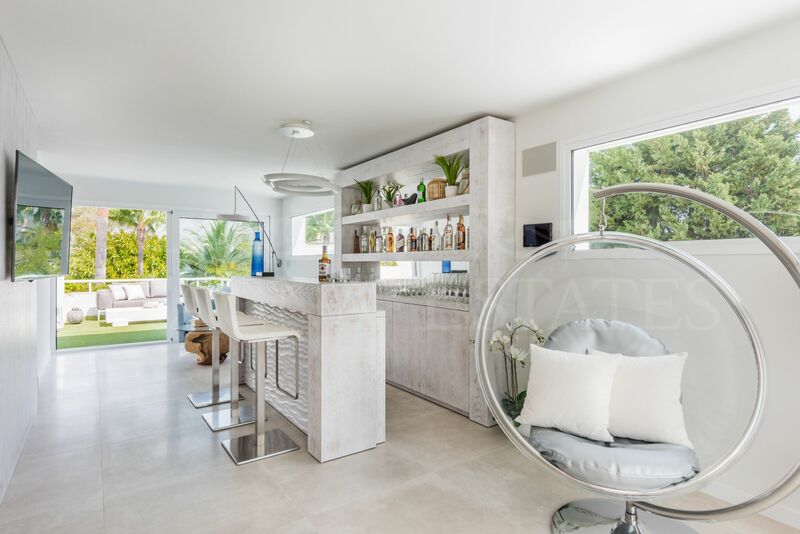 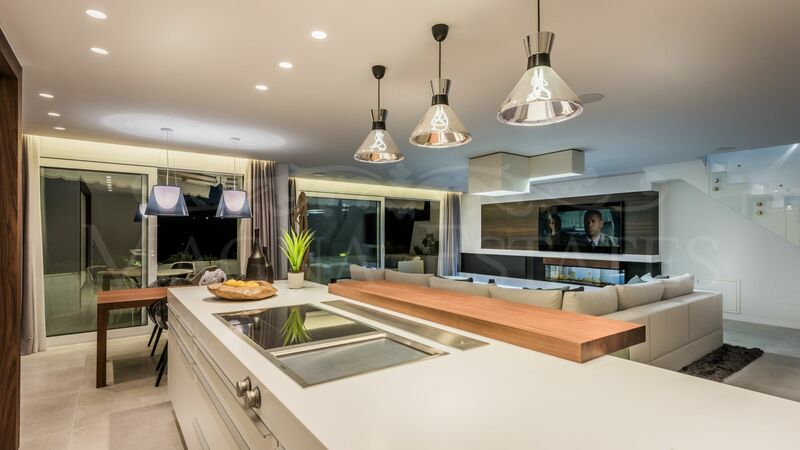 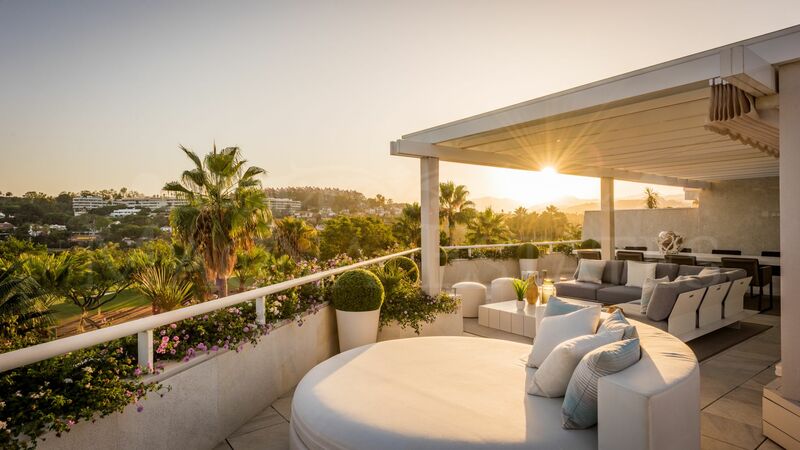 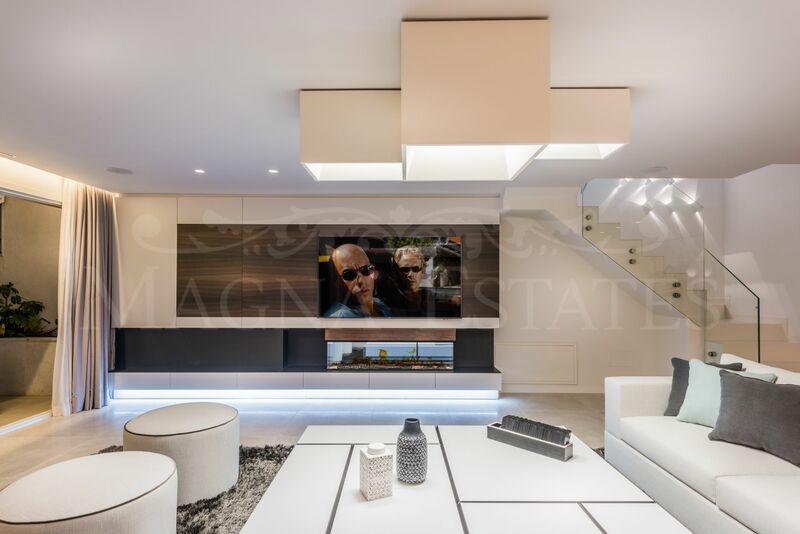 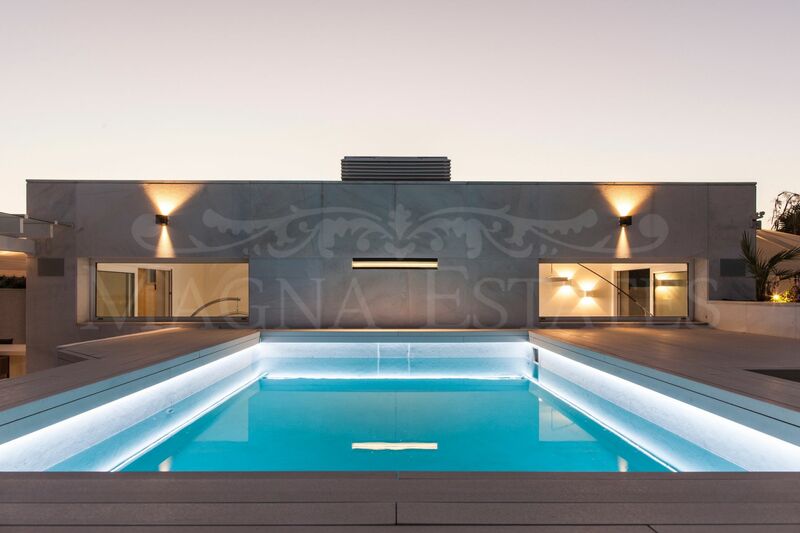 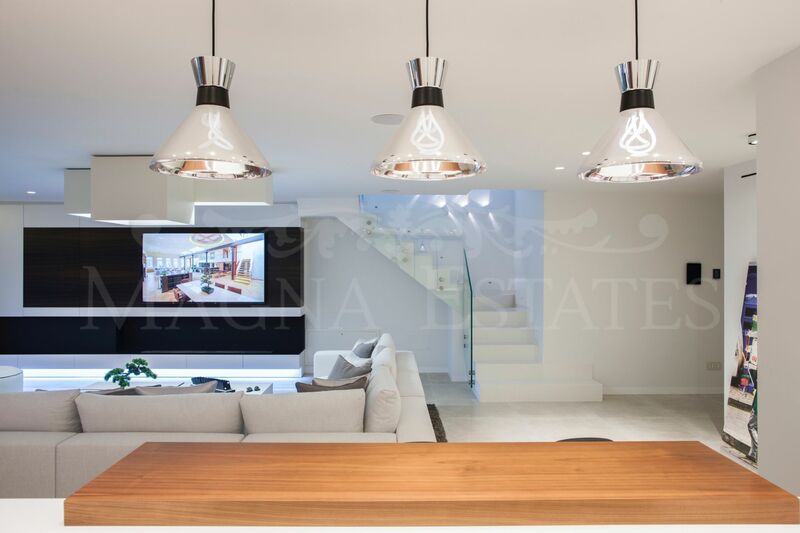 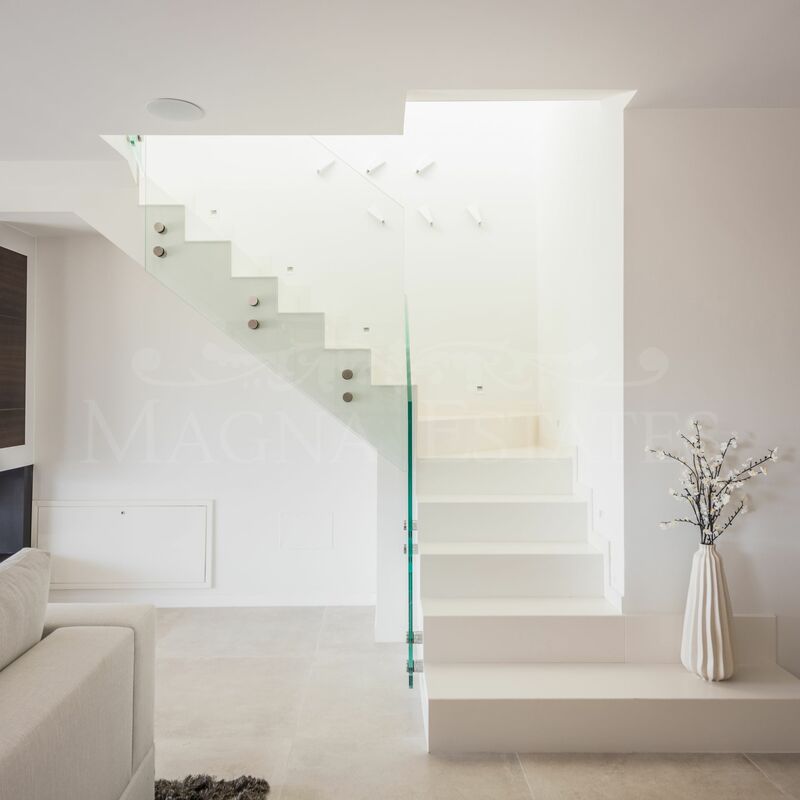 The property has a private elevator direct to the interior, underfloor heating throughout the house, Savant home automation system, Sonos integrated sound equipment, Gaggenau appliances, adjustable LED lights throughout the house, custom furniture and other exclusive features. 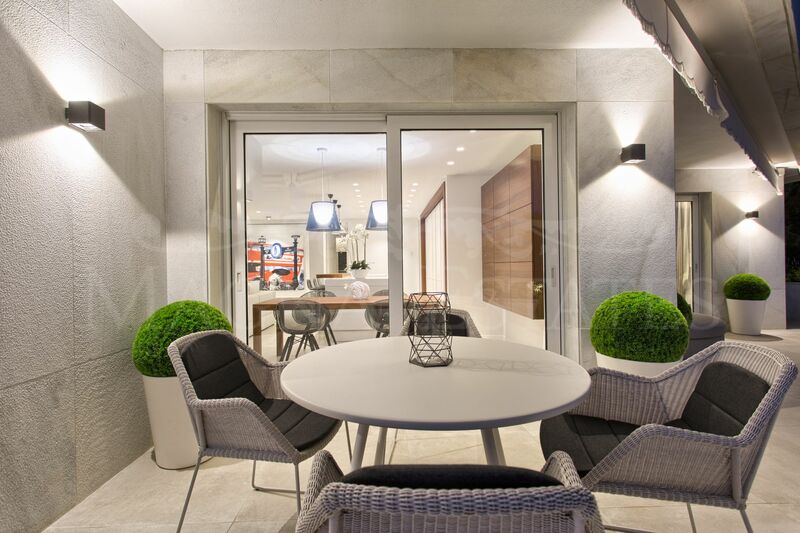 Two parking spaces plus a space for the golf buggy and a storage room. 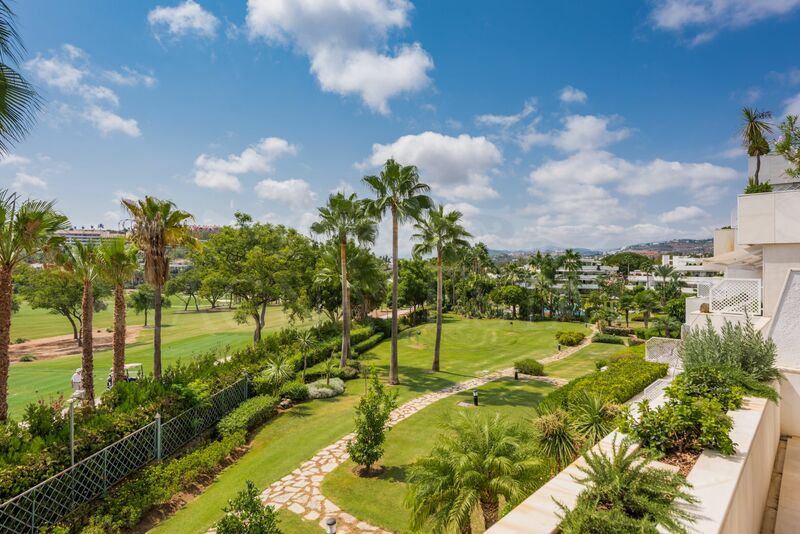 The exclusive Los Granados Golf urbanization is located on the edge of the Las Brisas golf course, one of the most exclusive areas of Marbella. 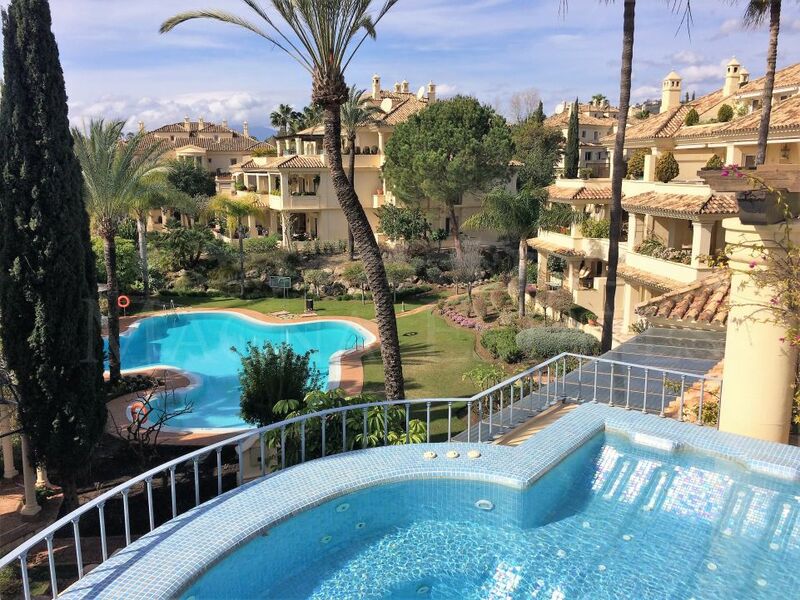 It has 24 hour security, large gardens and swimming pools and spa area with heated indoor pool. 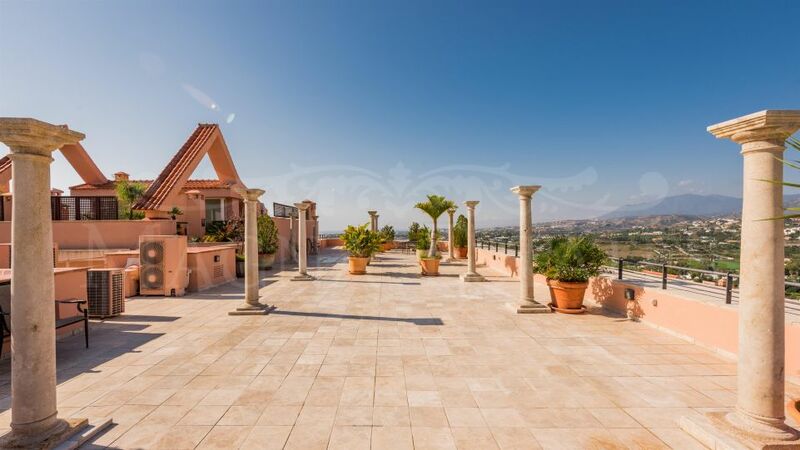 Just two minutes from the area of ​​the Plaza de Aloha with all kinds of shops, restaurants, banks, etc. 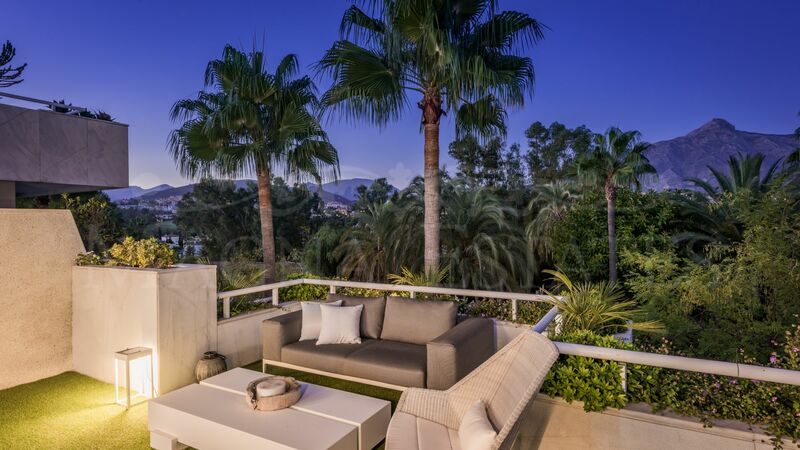 and only 5 minutes from Puerto Banús. 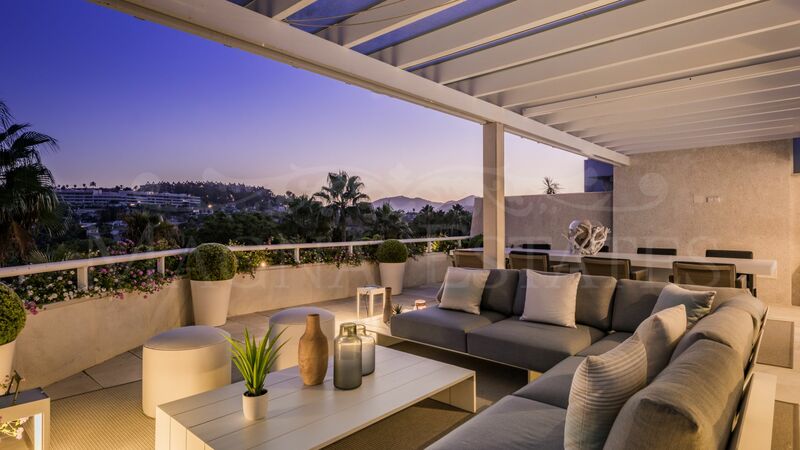 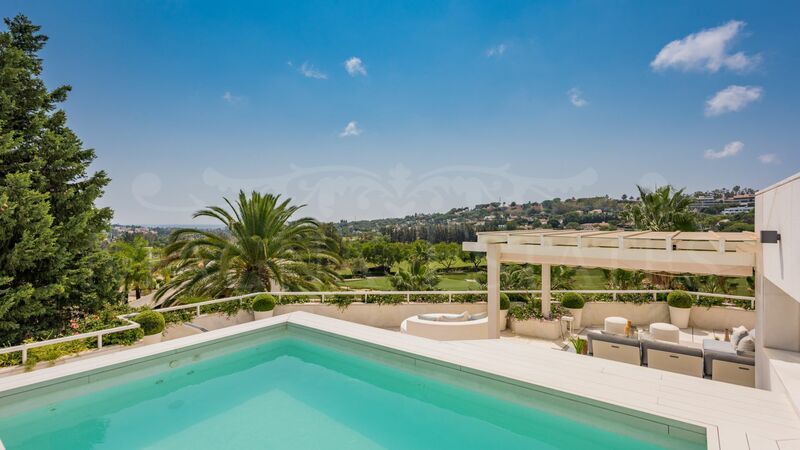 Please, send more information about ref 247-01000P, Duplex Penthouse in Las Brisas, Nueva Andalucia, Marbella or similar properties.